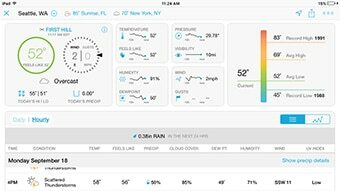 What can Weather Company Operations Dashboard for Retail do? 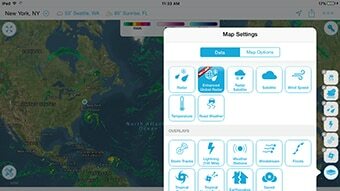 The Weather Company® Operations Dashboard for Retail provides distribution centers, logistics professionals and store managers with the only mobile app that combines the world’s most accurate and precise weather and traffic data to improve efficiency and mitigate risks. Retailers and consumer products companies are able to access a complete and integrated picture of what’s happening on the road, at each distribution center and every store—now and during the next 15 days. This information helps organizations make changes to reduce weather-related disruptions to supply chains, optimize staff performance and keep both workers and customers safe. 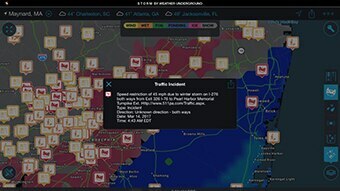 Plan routes ahead of time by viewing traffic, incidents and current and forecasted weather conditions; seek alternate routes to reduce the risk of delays from hazardous weather or traffic issues. 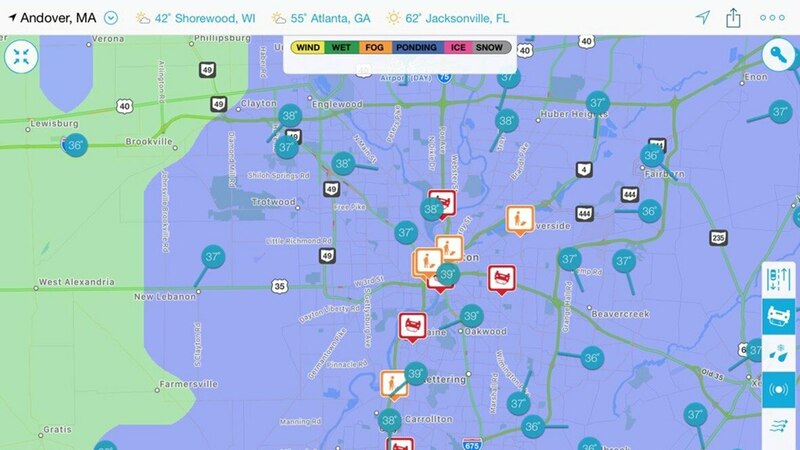 Stay ahead of delivery delays by monitoring traffic and weather impacts along key routes in and out of your distribution centers as well as potential disruptions to loading and unloading efforts. 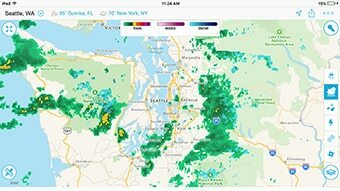 Send alerts triggered by severe weather to divert freight away from dangerous weather to improve driver safety; stay ahead of maintenance and safety issues at your stores and distribution hubs. Adjust staffing, schedules and key tasks to ensure optimal stocking and product placement for anticipated customer demand.